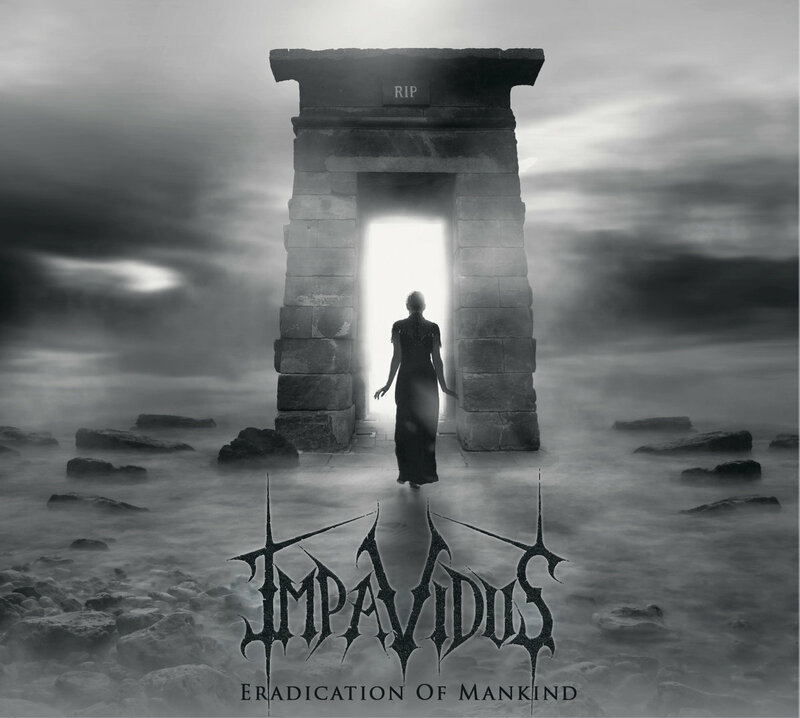 Eradication Of Mankind marks the return of Impavidus and their firebrand mix of melodic death metal influences and it’s another EP filled with crushing Carcass-esque moments that effortlessly combine the beautiful with the beastly. The key to Impavidus is (and probably will always be) the versatile vocals of Michelle Adamson whose versatility has never been more aptly used than on “Lies”, a track that prompts both ethereal harmonising alongside her powerful Jeff Walker influenced delivery. It’s powerful stuff and this tried and tested formula, delivered with considerable panache by these Manchester based noise-mongers, has lost none of its appeal….even a quarter of a century after it was first envisioned! Unsurprisingly, when those Carcass grooves kick in, Impavidus take flight but they only work because of the ‘softer’ moments that border them, fencing in the aggression without ever truly softening the blow; check out “XII” for the ultimate blend of both styles.